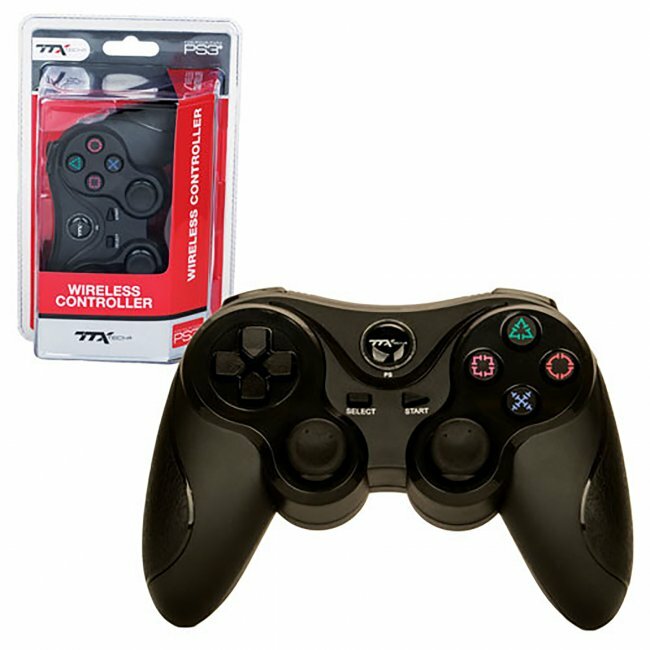 The TTX Tech Playstation 3 wireless controller features 2.4 GHz wireless technology and an ergonomic design. Compatible with all PS3 game systems. It works great and the price was outstanding!!!!!!!!!! My son's controller quit working. Him (23), his girlfriend (25), and their 2 kids all have their birthdays in July, so I figured it was a great time to get him one for his PS3. He says it works great with his system...no problems that he has experienced. Thanks! Works well with my system and a great price! I only gave it 4 stars because the R and L buttons are awkward. Works great though. I'll always buy from Lukie.